As patients continue to turn to online resources for health care information to guide their care decisions, it is becoming increasingly important for radiologists to engage with patients online via social media platforms. 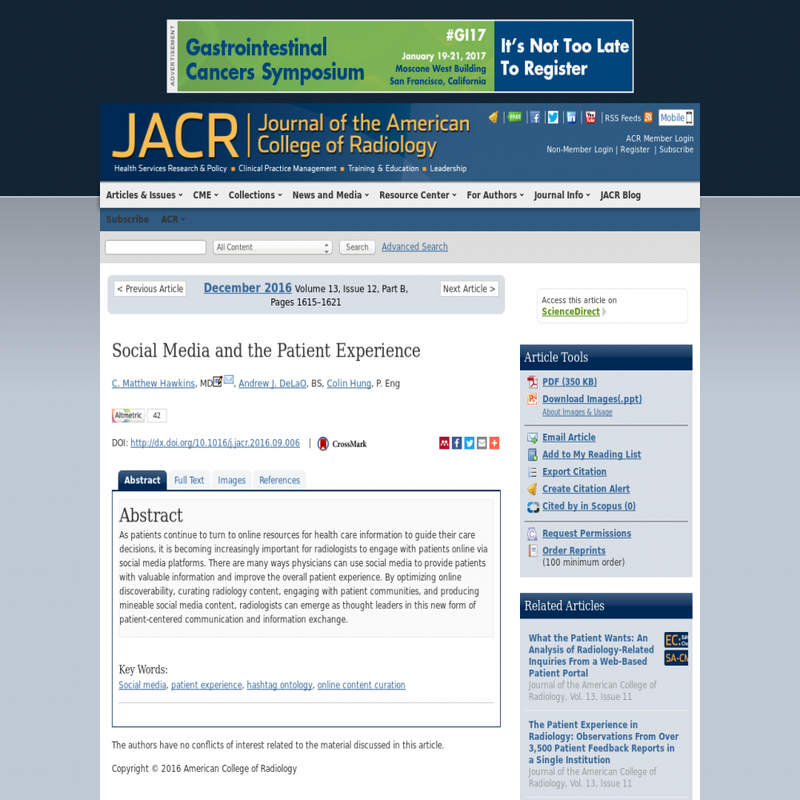 There are many ways physicians can use social media to provide patients with valuable information and improve the overall patient experience. By optimizing online discoverability, curating radiology content, engaging with patient communities, and producing mineable social media content, radiologists can emerge as thought leaders in this new form of patient-centered communication and information exchange.